If you’re tracking sales velocity, you know that the length of the sales cycle directly impacts revenue. 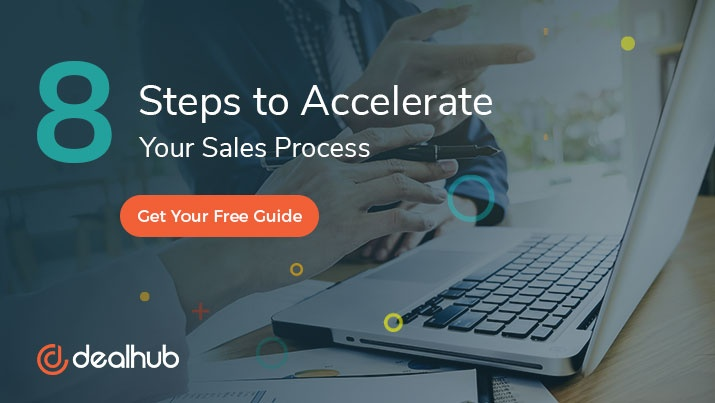 When your sales team can quickly close deals and move on to the next one in the pipeline, you’re bringing in more revenue in less time. Operational improvements which help close deals faster are always worth investigating. One of the primary bottlenecks in the sales process is the creation, flow, and approval of contracts. Roadblocks can be prevented, however, with the right contract management software. Using the right tools, your sales team will work faster and smarter, eliminate mistakes, and avoid a slow approval process. An efficient contract management process plays a key role in reducing the sales cycle. What’s Packaged into Best-in-Class Contract Management Software? Automates contract creation according to the Legal department’s requirements. Makes it easier for sales reps to create and send contracts while eliminating costly mistakes. Spend less time getting approvals and follow a structured process every step of the way. Add in the right stakeholders to keep everyone in the loop. Centralize conversations and contract documents in one place without the back and forth of emails. Generate and then safely store agreements directly in your CRM. Signed contracts can be viewed at any time to confirm all the deal terms. What Does DealHub’s Contract Management Solution Offer? DealHub Contract Management solution helps you move contracts and negotiations forward. You’ll close deals faster when all contract generation, tracking, approvals, and e-Signatures are managed within one easy-to-use solution. Easy to use – DealHub streamlines contract creation using Predictive Sales Playbooks, which enable salespeople to effortlessly generate the right agreements that fully adhere to Legal’s guidelines. Tracking – Uncovers real-time insights on buyer’s activity to keep contracts moving and track where things stand in the contract negotiation process with your customer. A single engagement interface – DealHub provides a consistent customer experience with all deal interactions in one place. e-Signatures – Quickly facilitate obtaining signatures. Approval workflows – Oversight and workflows ensure all necessary departments are signing off on contracts before they are sent out. All-in-one – Combined Document Generation, CPQ, Contract, and e-Signature all in one solution. Seamless CRM integration – Easy implementation and seamless integration with your CRM, including all the relevant fields pulled from the CRM and all the information automatically synced back to the account. Learn more about DealHub’s Contract Management Software. We’ve taken the complexity and wasted time out of the contract management process. The collaboration and approval workflows in DealHub are streamlined and efficient compared to other solutions. We’ve eliminated the need for email chains and numerous phone calls between the sales people and the legal team. DealHub gives the right people permission to see sections of a document and make edits, including legal and finance, simplifying the internal contract generation processes. Eliminate delays and create visibility into the sales process. Need to obtain a few signatures on a complex contract? No problem! You will know exactly who has read the document and who still needs to sign. DealHub helps you quickly generate all the documents you need, from NDAs, MSAs, and Agreements, to Quotes. Unlike many solutions, DealHub was designed and developed to be configured by business people – not developers. It’s easy to set up and customize – your team can be set up and using DealHub’s contract management software in a week. Would you like to reduce the time your sales team spends on administrative tasks so they can focus on doing what they do best – selling? DealHub helps reduce the load on your Legal team while ensuring agreements don’t hold up sales processes. Take DealHub’s contract management software for a test drive. Contact us today for a demo to learn how DealHub will help your sales team close deals faster. As Director of Marketing, Rotem is extremely passionate about helping companies gain a more informed and actionable understanding of the changing landscape within CPQ and Sales Engagement. She is a regular content contributor in this area of expertise and draws inspiration from being afoot to the latest trends and statistics influencing CPQ and Sales Engagement.